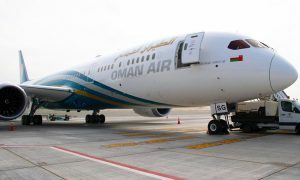 Oman Air, the national carrier of the Sultanate of Oman, continues its ambitious expansion plans in 2017 with the third new addition to its fleet this year. The airline’s latest aircraft comes in the shape of a Boeing 787-9 Dreamliner which joined the fleet on 23rd February 2017, in addition to the two brand new Boeing 737-800s that were already added to the fleet earlier this year. The wide-body Boeing 787-9 is a stretched version of the advanced long-range twin-engine B787-8. 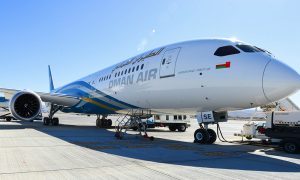 Oman Air’s Boeing 787-9 Dreamliner aircraft is configured with 30 flat-bed Business Class suites, designed by BE Aerospace and 258 Economy Class seats. Her Excellency Hunaina Sultan Al Mughairy, Ambassador of Oman to the United States, attended the aircraft delivery ceremony at the Boeing facility in Seattle, along with Eng. Abdulaziz Al Raisi, Executive Vice President–Products & Brand Development on behalf of Oman Air. The aircraft’s inaugural flight departed Seattle on 23rd February and arrived Muscat on 24th February 2017. 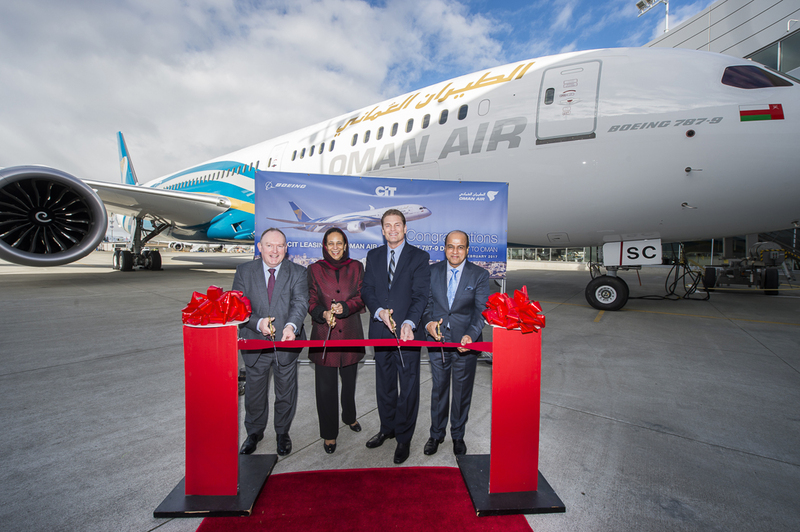 With the addition of this latest Dreamliner, Oman Air operates five Boeing 787 aircraft. This aircraft will be utilized on Oman Air’s European and Far-Eastern sectors. A second new Boeing 787 Dreamliner will be joining Oman Air’s fleet in April 2017. 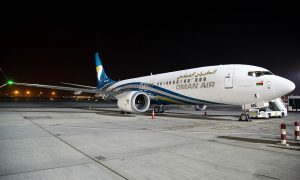 The delivery of new aircraft is part of Oman Air’s ambitious and dynamic program of fleet and network expansion. 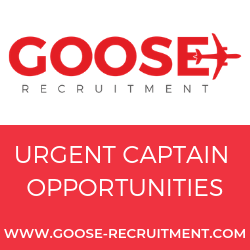 To complement the new additions to the fleet, the airline has recently invested in the renovation of its three A330-300 aircraft First Class cabin.